Woodworking techniques combined with the latest trends and custom graphics is what created the DIY Board & Brush Creative Studio concept. Our DIY wood sign workshops started as a “Girl’s Night Out” with wine and crafts in our founder’s basement and quickly turned into a business idea. What started out as one studio in Wisconsin has now grown to 240 locations across the U.S.—and we are adding new studios every month! At Board & Brush Creative Studio, our goal is to turn you into a “DIY master” by educating you to understand and appreciate the beauty of raw materials—the wood, the knots, the color variations and the simple imperfections that will make your project unique. Distressing, sanding with the grain, and staining are a few of the important steps we will guide you through to make your personalized wood sign look as though it has been with you for years—like a vintage heirloom. Hone your own passion for décor & DIY projects; we hand you the tools & direction, you create the friendships and craft. Experience Not Needed! Just bring your creativity & personality! We will provide the education, materials & fun! Never used a hammer, sand paper, or a power tool? Never added picture hangers to a home décor sign to hang on your wall? Never waxed wood to protect it from the elements and make it glisten in the light? Don’t worry! We will teach you all of these skills. In fact, we wouldn’t be surprised if we find you in the hardware store filling up your own toolbox after your DIY workshop session is over! We work with top graphic designers from all over the country to provide you with farmhouse, vintage designs that will adorn your walls for years to come. In addition, our custom stencil process allows you to personalize your piece with your surname, monogram, the year of your special event or the names of your beloved children … the possibilities are endless and design choices are expansive. We believe ‘”vintage and classic” will always have a place in your home. So enjoy a glass of wine with your girlfriends, your spouse, your family, your co-workers or anyone else you decide to bring along while you hone your inner woodworking skills. 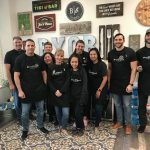 Board & Brush offers a wide variety of hands-on, private experiences from workshops, private parties, bridal showers, bachelorette gatherings, children’s birthday bashes, corporate events, and fundraisers. All educational workshops are a flat fee and include everything you will need to leave with a beautiful, classic wooden piece to adorn your walls and the skills to make another at home! 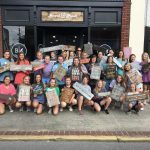 Go Beyond Wine & Paint Nights – Sign Up for a DIY Wood Sign Workshop at Board & Brush Today! 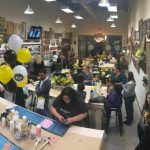 Do you want to have a drink with friends and enjoy a night of painting and learning? Great! 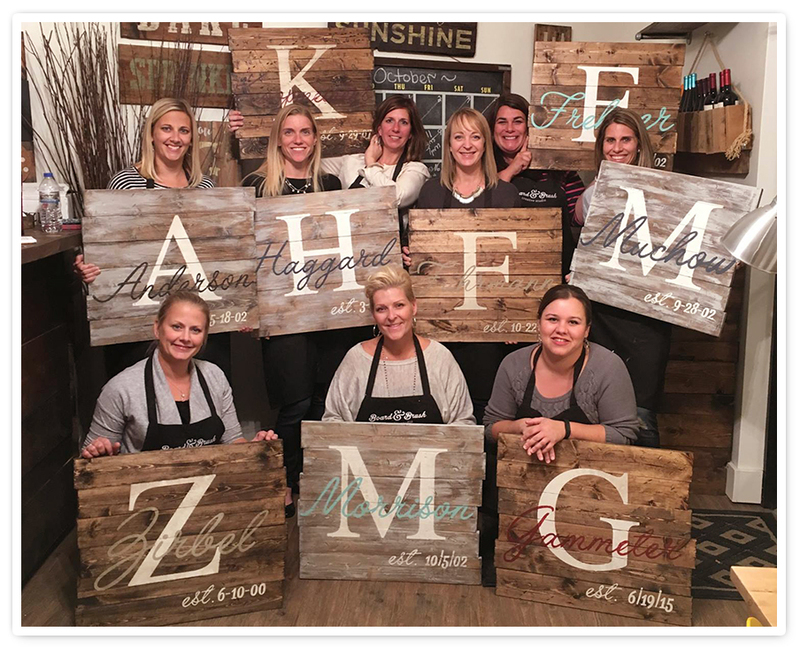 Our Board and Brush Studios allow you to create a personalized wood sign, while having a drink and socializing with friends and family in a fun, energetic atmosphere. We have the raw wood and classic designs that will enable you to create a custom DIY piece for your home. Let wood be your next palette. Sign up for a wood sign workshop at your local Board & Brush Studio today. The Original & Fastest-Growing DIY Wood Sign Workshop Chain in the U.S.!